Protect the students, teachers, and citizens! Just take a close look at the feature shot above. It was one of the simplest ways to illustrate how all the recent laws, initiatives, and programs tie altogether for one goal. 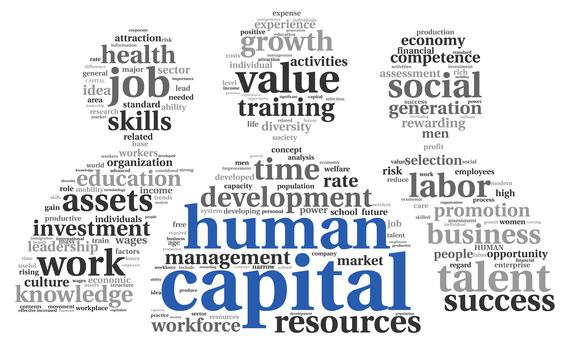 What the CCSS Machine often calls our students: ‘human capital’ or ‘talent pipeline supply’. *STEM actually appeared about the same time as Common Core State Standards according to a 2010 PCAST (Presidential Council of Advisors on Science and Technology) Report. During the past week, the U.S. House’s Ed and Workforce Committee have been zipping out press releases ‘celebrating’ the important work of the past few years under Rep. Kline’s leadership. Somehow, we the Warriors and Citizens, need to be reminded of the pro CCSS/CTE side of education at the hands of these legislative educrats. They are desperate to have us believe all this reform will make our nation stronger. However, this past week isn’t the only time the CCSS Machine has used Congress to churn out fodder. Since the last recess began, Ed/Workforce has zipped out many such press releases. I’ve dug through those and shown you the fallacies. I’ll include them in the Related Resource section below. The email was quick to point out that under Rep. Kline’s leadership, the Committee had worked hard on the behalf of all Americans. The track record of ‘success’ begins (in the email) in 2007. It also points out the Skills Act* of 2011 where Rep. Foxx was a key player. (Look for my Skills Act article below in Related Resources.) The email ends with the terrific news about WIOA becoming law. No where in the email does it state Rep. Foxx was set to become the new chair for Ed/Workforce. The bottom line? American education had already begun its shift to becoming a workforce based education well before 2007, the Skills Act. Right away, the red flag was the same introduction as the first. How hard Ed/Workforce had worked to represent the citizens of America. Another red flag? The ‘lifelong learning’ educratic phrase is code for ‘birth to grave’ streamlined education* (look for “Local Schools Open for WIOA in ‘Related Resources’). This email was all about how ‘local’ ESSA is going to make American education. The bottom line? No American citizen truly desires ‘success’ at the price our government expects our education system to cough up. Ed/Workforce’s third email (dated 12/1/16) focused on child safety via Neighborhood Development Block Grants. The subject line stated it this way, “Leadership & Results Part 3: Protecting the nation’s most vulnerable”. This will most definitely continue to tie education to the U.S. Dept. of HHS (Health and Human Services). In ‘Related Resources’ look for the “Sure Fire Disaster” article. Lastly, the series of ‘success’ emails showed up on Dec. 2nd. It’s subject line, “Leadership & Results Part 4: Making it easier for students to pursue higher education”. This email touted the “Bipartisan Student Loan Certainty Act of 2013”. Warriors, while I have not studied this Law, I can tell you what I do know about higher education when it comes to the federal overreaches. Look in ‘Related Resources’ for them. 4) ESSA and WIOA, along with HEA and STEM mean to have every citizen, regardless of age or school choice, somewhere in the ‘talent supply, workforce based education pipeline’. 5) How ‘local’ can a State be with ESSA aligned national leadership (P3s, public private partnerships)? These articles expose what Ed/Workforce didn’t. 7) The ‘affordable’ post-secondary education myth can be tied to the CCSS Machine in these articles. One of the most vocal selling points for HEA re-authorization will most definitely include student debt load and taxpayer burdens. While it is true these need addressing, must they be tied to the CCSS Machine to achieve them?! NO!!! In the shift from one federal education law to another, we need to know how the CCSS Machine is going to pay our teachers. More specifically, how the ESSA (Every Student Succeeds Act) will reward, or punish, them. In the picture above, you can see the comparison between the ESSA’s tiers of compensation and the one NC Dept. of Public Instruction’s Superintendent, Dr. June Atkinson, says she created back in 2015. If you live in NC, this is of interest, for sure. 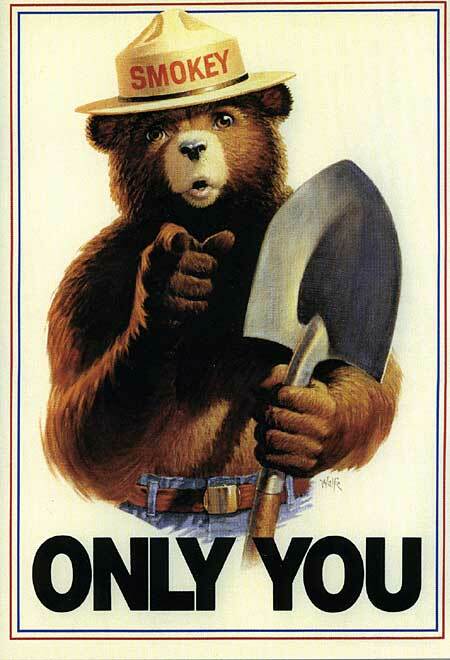 If you don’t, it should encourage you to see what your Dept. of Public Instruction has in place, or in mind. So, if the time is now, why is she referring to a year old model? 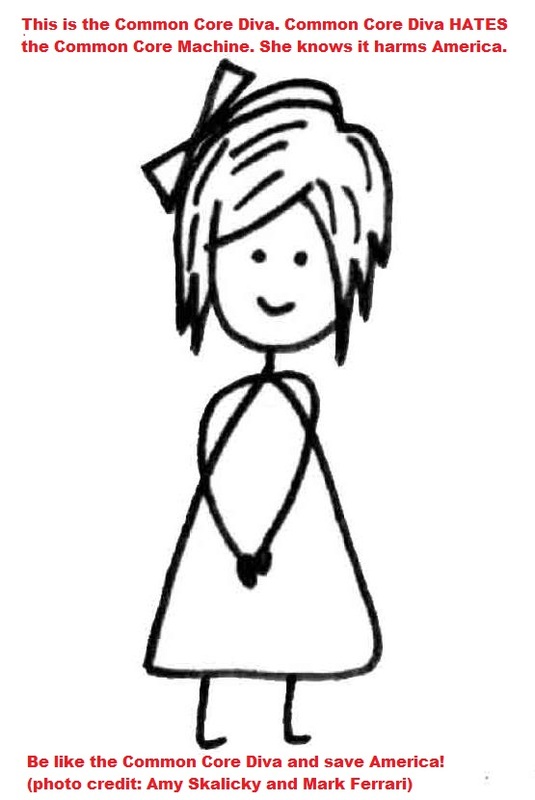 If you click on the link embedded in her blog entry, you will see she says this is her plan. You will see the date is 1/26/15. Why does it matter WHAT Dr. A says? As a seasoned anti CCSS Warrior, I know she is the President of the CCSSO (Council of Chief State School Officers) which owns half the copyrights to the CCSS (Common Core State Standards)! Yes, the CCSS IS copyrighted! Will the ESSA keep the CCSS? Yes, via a slick name change to College and Career Readiness (also included in the Race to the Top applications/awards) and/or Challenging State Academic Standards! I have detailed all the name changes in previously published posts about the ESSA. However, my focus is not to Dr. Atkinson, my focus, is what does the ESSA have to say about teacher compensation, recruitment, and retention? Be sure to read Pages 302 and following for not only the repetition of student achievement being directly tied to teachers, but the restrictions also included. You will find on Page 306 what appears to be and suggests, all teachers, principals, and other school leaders must have at least a Master’s degree in order to not only teach, but receive compensation! This small section starts out with some heavy words. The U.S. Dept. of Education will ASSIST states in developing, implementing, improving, or expanding ‘comprehensive performances’ or human capital managing systems for teachers, principals, and other school leaders who raise student achievement AND close the achievement gap between low performing schools and higher achieving ones! There is also to be federal help in reviewing and studies to be conducted in the name of teacher/principal/school leader effectiveness! Read not only this page, but Page 348 for the exact words. Page 349 At the top of this page, you will see how for-profit groups will also be factored into what Pages 347 and 348 lay out. At the bottom and continued on Page 350, you can see how the compensation of teachers, principals, and other school leaders will be ‘differentiate levels of compensation’. How will the levels be determined? Measured student progress/academic achievement. We’re talking bonuses, folks! Page 351 This is where the Incentive Grants for teachers, principals, and other school leaders. Again, it is the U.S. Dept. of Ed’s Secretary who will award competitive grants to ‘eligible entities’ and will be performance based pay. You need to see what qualifies as an eligible entity! Oh, the grants are only good for no more than 3 years (can anyone say ‘waivers’?) Those awarded grants will have to prove to the U.S. Dept. of Ed Secretary that funds are being used in a successful manner. Be sure to read not only Page 351, but follow through to Page 356. You will see all kinds of restrictions, objectives, and procedures which will need to be involved. Be sure you read how a STEM Master Corps Teacher is determined and rewarded. Treated a bit differently, will be the Native Tribal Americans as well as the Native Hawaiian citizens. The Alaska Native Tribes are also included toward the end of this big section. Their compensation, as well as how the ‘Educational Councils’ are to be set up and overseen by the U.S. Dept. of Ed Secretary, will begin on Page 699 and end on Page 736. What is interesting is that Workforce Development, Early Childhood Learning, Challenging State Academic Standards, and all the rest are included in this section. Watch Out: Divorce Up Ahead! Considering all the performance pressure our teachers are facing (I just met on last night who was livid, frustrated, and looking for answers), it will be even-more-so by the time (2017-18 school year) all the ESSA parameters are in place. Research has proved the number of pro CCSS Machine members providing much of the professional development (PD). Now, we can see that your compensation will be tied through attending even more PD activities. We can see ESSA will absolutely measure you by your students. CCSS has been doing this already, so I am not sure how anyone in Congress or for that matter connected to the CCSS Machine can tell us how ESSA will LESSEN this assessing you in this manner. We can see from this article, and other recently published, data mining for you will most definitely increase! The SEL (social/emotional learning) measuring will increase. So much for a wedding cake image. There is NOTHING sweet about any of this. This is more worthy of a divorce decree! 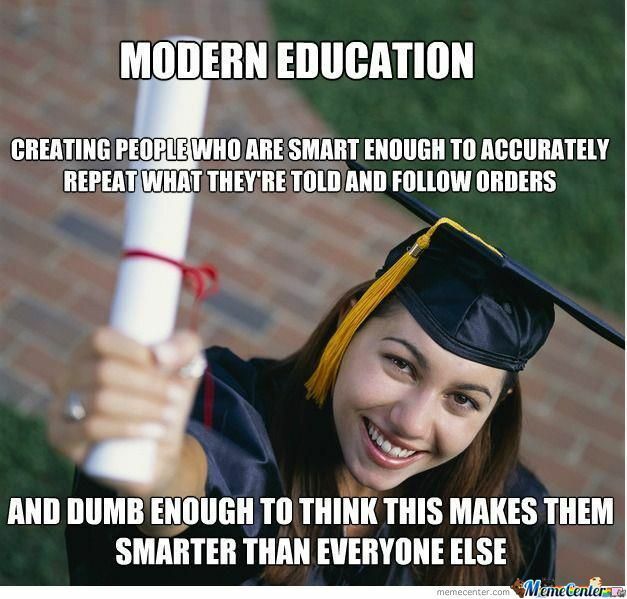 How the Initiative behind all that Common Core encompasses SEES your students like this. Warriors Against the Common Core, as you know I’ve devoted much of my research to finding where the CCSS Machine (my name for the all encompassing agenda and parts of the Common Core State Standards Initiative) is lurking in post-secondary education, as well as the other non traditional educational choices of public K-12 schools. In my last article I promised you I would reveal MORE ties between the ESSA (Every Student Succeeds Act, formerly Every Child Achieves Act or S1177) and the HEA (Higher Education Act). The biggest connection which I shared with you in that article was WIOA (Workforce Innovation and Opportunity Act of 2014). WHY this matters: As I have stated in previously posts and publicly, NO educational choice will escape the alignment embedded in WIOA, ESSA, or HEA! ANY student seeking a post-secondary education (regardless of public colleges, universities, community colleges, for-profit (proprietary) schools, on-line courses, some Christian colleges, or some private colleges/universities) the CCSS (Common Core State Standards), CTE (Career Tech Education), CP (Career Pathways), STEM (Science, Technology, Engineering, and, Math), STEM to STEAM (Science, Technology, Engineering, the Arts, and, Math), CC (Career Clusters), and, AAI, (American Apprenticeship Initiative) will be there! These programs will not respect your natural talents or intelligences; they will not respect those with special needs. Too much misuse of Title 1, 4, and 9 funds; Perkins Funding; and other state funding formulas has already been committed to the joint union of the U.S. Departments of Education, Labor, and Health/Human Services to ignore the purposed alignment, yet, many have…especially the legislators (both on federal and state levels). We need to also consider that since the labor aspect in woven in to include anyone seeking a job, those looking for employment will also be impacted!! So, Where’s the HEA in the ESSA? Keywords of ‘Perkins Funding’ (for CTE): a total of 8 references to page numbers 38, 123, 132, 516, 677, 939, 993, and 1026. Keyword of ‘Workforce’: a total of 33 references to page numbers 33, 39, 128, 132, 165, 266, 273, 293, 325, 344, 464, 497, 509, 516, 601, 611, 659, 695, 708, 734, 813, 913, 945, 949, 1049, and 1057. While I’m slowing working my way through each of these pages, I want you to know that I’ve been able to find out how (pages 32- 36) LEAs (local education agencies) and funding states receive will be used. Note how the funding is used, what groups are to receive it, which groups are targeted. Warriors, if ever there is a time to let D.C. know THIS kind of alignment, abuse of our tax dollars is NOT the best for education or America, it is NOW! The Senate has yet to vote on the ESSA!! Use this kind of proof to alert them we WILL not be conformed to the CCSS Machine’s Workforce agenda! Remember, there will be more information, proof I will share with you from the pages of the ESSA (which I have renamed for our purposes to mean “Erroneous Socialist Streamlined Agenda”) in the coming days! 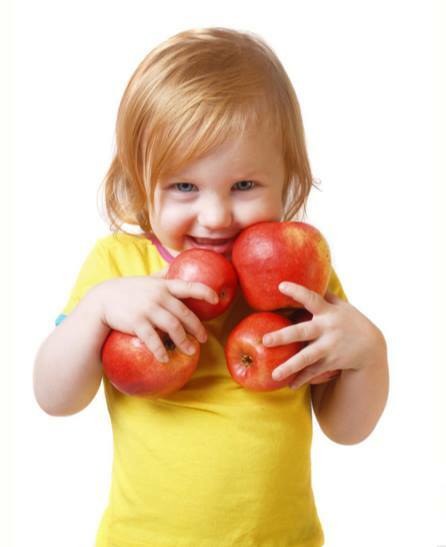 Remember as well that Sen. Alexander and Sen. Murray (as well as other Congress members in D.C.) have made it clear that what was laid out in the ESSA would be completed in the HEA re-authorization! If HR 5, S117, and HEA pass AS IS, we can expect more of this scene above. Warriors fighting to end Common Core and all that goes with it, if you’ve been following my blog in the past week, you’ll know that I’ve been following much of the concerted efforts aimed at our post-secondary students. If you’re anything like me, you are beyond disgusted with the unabashed claims to all the federal overreach; all the P3 meddling; all the teachers being blamed; and all the students being sacrificed in the name of ‘education reform’, ‘global competitiveness’, and ‘the good of the national economy’. We have corporations blaming everyone except themselves for the mess education is in. We have legislators creating education bills where they have absolutely no jurisdiction. We have different parts of the federal level of government so busy pointing the finger at each other that it is absolutely childish. In this game of ‘educational dodge ball’, we have our students right in the line of fire. Enough!! The game of dodge ball can be quite viscous. Yet, daily, we’re seeing the public-private partnerships pummel our kids of all ages with the initiative surrounding Common Core and all its related parts. Daily these groups line up on opposite sides and throw educational landmines at our teachers, too. Yet, through it all, things remain mostly the same. Each state still has illegally based education reform via either the Common Core, American Apprenticeships, Career Pathways, Career Technical Eduation, STEM, STEM to STEaM, AP classess, IB Schools, Next Gen Science, C3 (the CCSS aligned replacement for civics), Workforce Education, and any other connected program. Each state has received some sort of incentive in a variety of ways, from a variety of federal/state agencies that seemingly are helpful, yet, when researched, the ties to further constrain us are found. It can be enough to make one weary beyond belief. However, I’d like to encourage us to in spite of the pain, the weariness, we KEEP informing others. We KEEP protecting our students! We KEEP those in authority in check. We KEEP exposing the corruption. “As for STEM, I am a STEM graduate, and am one of those who can’t find a job now. I found that 1/3 STEM jobs are going to foreigners now and 1/2 that go into STEM field are not ending up in it as a career. At least 2 post-secondary educators have also commented via other social media outlets about the horrors of alignment they are having to adhere to. One of these educators, who wishes to not be featured here, shared how the lies about the skills gap has been so overplayed it is a sham! Here’s a pro CCSS perspective on the responsibility of who we should be holding accountable. 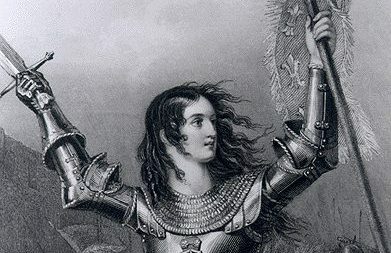 http://shop.mheducation.com/ideas/educator/prepare-students-workforce.html An anti CCSS warrior’s response: ‘poppycock’! In my researched opinion, the responsibility of who’s to blame in the realm of all this educational is a red herring. Why? With so many pointing the finger at others (and they, in turn, point out even more folks), the REAL issue gets lost. What’s the REAL issue?! Eliminating the illegally based education reform from our nation! Stay informed about the REAL issue. Do not allow the red herring above or any of the others which are being served up almost daily to throw you off course. Help stop the senseless educational dodge ball ‘game’ the CCSS Machine has forced upon us. 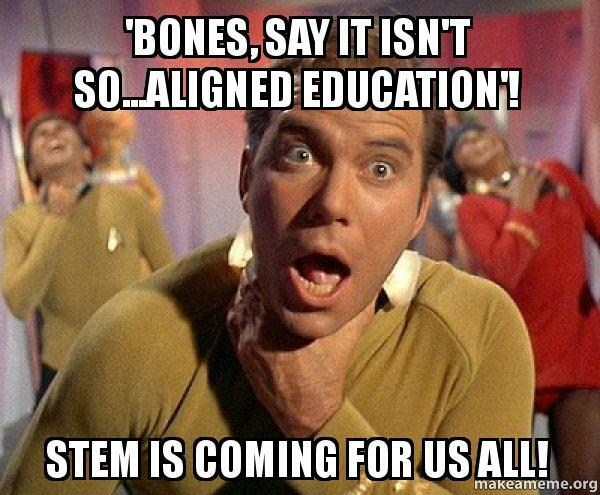 Welcome back, anti CCSS Warriors, for Part 2 of my “STEM to STEaM: Ties to CCSS” article. In yesterday’s portion, you got the basic foundation of how STEM and Common Core became united. Today, we’ll dive into the “STEaM” portion of the mix. If you recall, we were using the analogy of a vehicle (CCSS), a driver (STEM), and the gas (STEaM) in our ‘engine’ yesterday. I’d like to continue to use that analogy. In closing yesterday’s article, I left you with the concept that no overreach from the federal level of government into education is proper. In order for the current p3 led overreach (aka: ‘Common Core’) to succeed, it’s going to need a lot of fuel..a propellant of sorts to keep the momentum up. While we’ve seen some of those new propellants pop us (Next Gen Science, C3 Civics, and others), none is as welcome (or needed) for STEM to carry on it’s ‘STEM citizenry’ than ‘STEaM’. As I shared yesterday, ‘STEaM’ is “Science, Technology, Engineering, the Arts, and Math”. The CCSS Machine has even cranked out a catchy phrase for the ‘gas’. “STEM to STEaM”. Who’s on board? Ahh…we’ll soon find out. Using the same PCAST Sept. 2010 Report from yesterday’s portion in this series, take a minute to look back at the 5 main agenda points. Using those 5 points, STEaM is the newest angle in the ‘national standards’ movement in American education. In our recent past, there’s been a “STEM to STEaM” movement which has involved not only a post-secondary school acting as headquarters for the movement, but U.S. Congress members, corporations, and elementary, secondary schools chiming in as well. Caucuses have formed in Washington, D.C. to seek federal funding for this newest ‘college and career readiness’ power. The post-secondary school wasting no time in being a cheerleader for the nation about “STEM to STEaM? Rhode Island’s School of Design. ( see: http://stemtosteam.org/about/ ) *Note: when I first learned about STEM to STEaM, it was spelled as I’ve been spelling it: where only the “a” is lower case, however, it appears that even that has been changed so that all the letters are now upper case. I’ll do my best to reflect this makeover from here forward. According to “STEAM’s” website, our 21st century economy depends on it (Steam, that is). Pause here for a moment and ponder how this fits with those 5 main agenda points in STEM. Refer back to the pages around 12 in the PCAST Report where it’s revealed that in order for the 5 agenda items to thrive, the need to embed them in Common Core had to be met. Now, let’s proceed, shall we? Here’s a You Tube video of one of the NAfME’s Congressional Briefings. It’s from 2014. It is related to the press release above. Why I’m including it is due to the content. In this video you’ll see and hear how the STEAM curricula (was at that point) still being developed. You’ll notice that in this arena, STEAM standards were still being fleshed out. But, you’ll want to note when and where in the video the efforts to make everything align to the current ‘common’ standards in place. The briefing is just one of the instances to seek more government funding (via research grants) to have music cause education to dig deeper and wider. 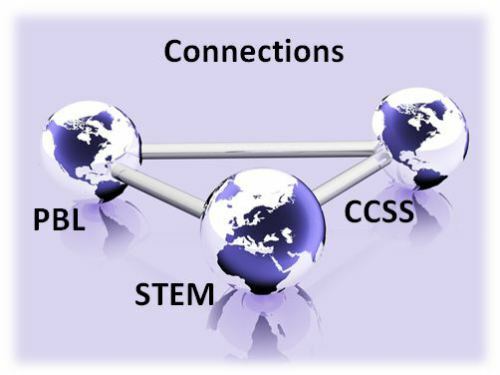 Much of the very same CCSS language we’ve heard will be used in the STEM/STEAM presentation. All have the same goal: Orchestrated student lifetime success. To pull all this off, we’ll need MORE STEM/STEAM teachers (think of those 5 original goals). Note how only STEAM teachers will be able to teach STEAM topics. (does this sound familiar?) Expect to hear how data will follow the students (just like CCSS, STEM, Workforce). Oh, be sure you note what CCSS supportive corporation is also present at this briefing. Simply put, all this is a bridge to connect one education reform aspect to another. And, it’s one the government is heavily banking on that we’ll embrace. Another related resource: NAfME’s Congressional attention getting “Bubbles” CCSS aligned program. In the third portion, I’ll be showing you that STEAM is much older than it appears. How STEM has even more up its sleeve for America. It is my hope you’ll be able to see just how encompassing all this is and what it means not only for education, but for our country. Maybe you’ve heard of STEM, but have you heard about ‘STEM to STEaM’? Some months ago, I shared with you that I’d dug into how STEM and Common Core are related. It’s not a popular subject. Why? Most folks don’t want to see how the two are directly hinged together. However, if we’re going to effectively FIGHT CCSS, we must know all the places it lurks! Did you know the CCSS Machine has rolled out yet another ‘new’ portion of education reform? Yes, it’s called “STEM to STEaM”. In the first of multi day installments, I’ll share with you what else I’ve been able to uncover. According to the publication I’ve referred to many times, “Common Core: A Global Education” by Berit Kjos, the roots of what we now know as CCSS began about 100 years ago. Then, in 2004, an agreement between Bill Gates and UNESCO was entered into. The purpose? Global curriculum. (See: http://www.lighthousetrailsresearch.com/blog/?p=13825) Contrast those few facts with these following nuggets I found in the PCAST (President’s Council of Advisors for Science and Technology) Report from Sept. 2010. Using this same Report, let’s look at some of the exact words from page 12. These 5 items will lay out the agenda hiding behind what we’ve always had in education: science and math. We’ve also had engineering and technology. But, when you take these subjects and filter them through national standards, the ‘engine’ begins to grind down to a halt. The question I’m sure you have by now is ‘why’? Why is all this attention being paid to STEM? In a short and simple phrase, ‘the American greater good’. From the viewpoint of the Common Core, ‘the global economy’ and ‘being career and college ready’. By participating in STEM programs( which are made available to every educational choice out there: public, private, charter, parochial, homeschool), we are in essence allowing an agenda that is not our own to be a part of our family, our school, our curriculum and lesson plans. STEM extends well beyond 12th grade and does, in fact, present itself in community colleges, proprietary post secondary schools, public and (some) private universities and colleges. In short, as we’ve seen with CCSS, if the school receives federal money, STEM is there. 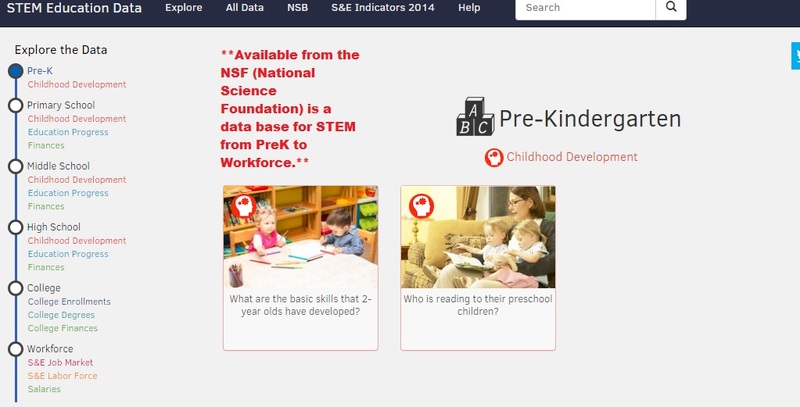 The website to access the data for STEM from pre-K to Workforce. Federal, top down control of any choice in education is not only wrong, it’s illegal. In case you missed it, not only is the Dept. of Education mixed in this, so is the NGA (National Governors Association)…half owner of the CCSS copyright. Here’s the CCSS pipeline. The NGA and the CCSSO have ensured our students are put through this. Notice the similarities to the STEM one above? Coming in the next installment: the ‘gas’ for the vehicle (CCSS) that’s needed for the driver (STEM) to succeed…STEaM. It will be packed with ‘can’t miss’ information!